Welcome. 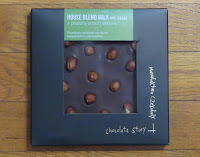 Sometimes one is in the right place at the right time to hear a wonderful new chocolate story. Such was the case recently, while at Chocolate Covered in San Francisco. Krzysztof Stypulkowski* was in this shop speaking with Jack, the owner, about carrying some new bars from Poland. What luck! We were there too, chocolate shopping. 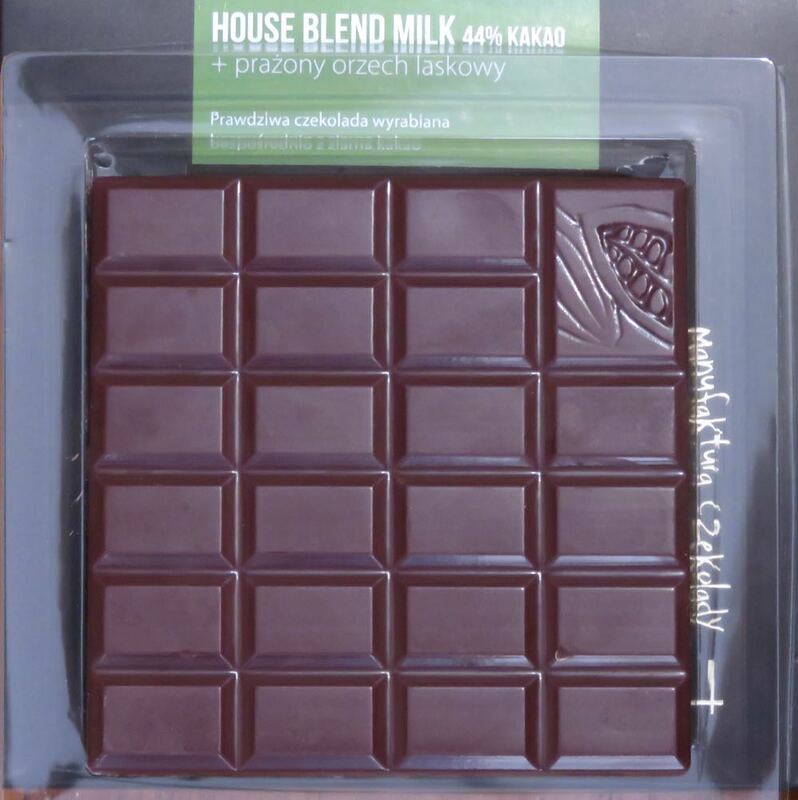 Today's House Blend Milk 44% kakao with roasted hazelnuts bar was made by Manufaktura Czekolady (Chocolate Story) based in Poland. 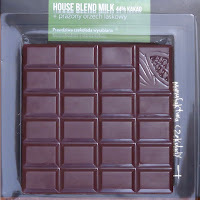 The aroma was one of high-quality dark milk chocolate. The melt and texture were smooth, and the mouth feel became even creamier after the first bite. 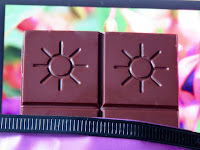 The chocolate tasted richer and darker than its 44% cacao content. The carefully distributed whole roasted hazelnuts added fresh nut flavor and a satisfying soft crunch. *Krzysztof has background as an Information Technology (IT) professional. This is not unusual for artisan chocolate makers. 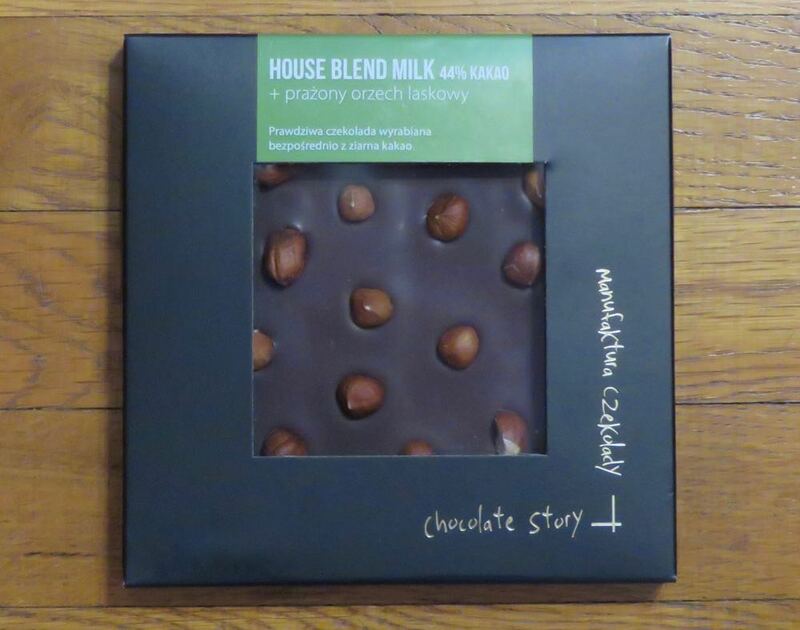 Some of the best bean-to-bar chocolate we've seen has come from people with technical backgrounds, who feel as at home building and fixing machines and problem-solving as they do with sharing their chocolate story with others. Welcome to Day #8 of Chocolate and India Theme Week. 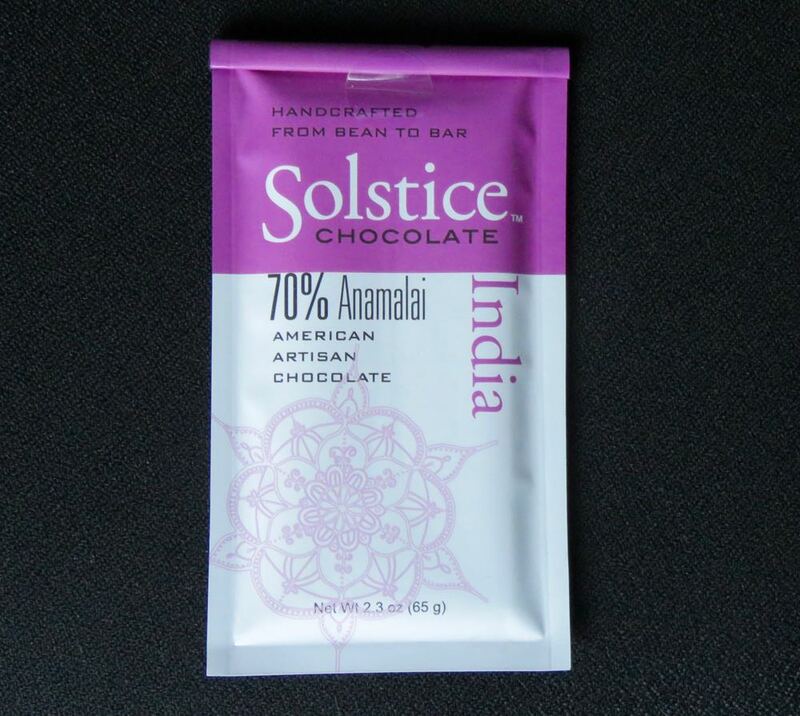 Today's 70% Dark Chocolate Anamalai (India) bar was from Solstice Chocolate (Salt Lake City, UT). 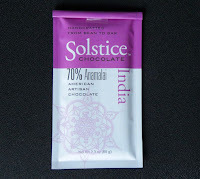 This bar had a stronger fruit aroma and flavor than other bars made with cacao from Anamalai* featured this week. The aroma of today's 70% dark bar had dried fruit (golden raisins, goji berries) and very faint spice notes. The bar broke with a hard snap; and the melt and texture were smooth. The flavor had strong fruit notes (tangy red raspberries, passion fruit) and a faint hint of of acetic acid (fruit vinegar), followed by light black pepper and spice. The packaging was attractive and unique in that it was also a re-sealable pouch. *Anamalai is a cacao, coconut and nutmeg farm in southern India.